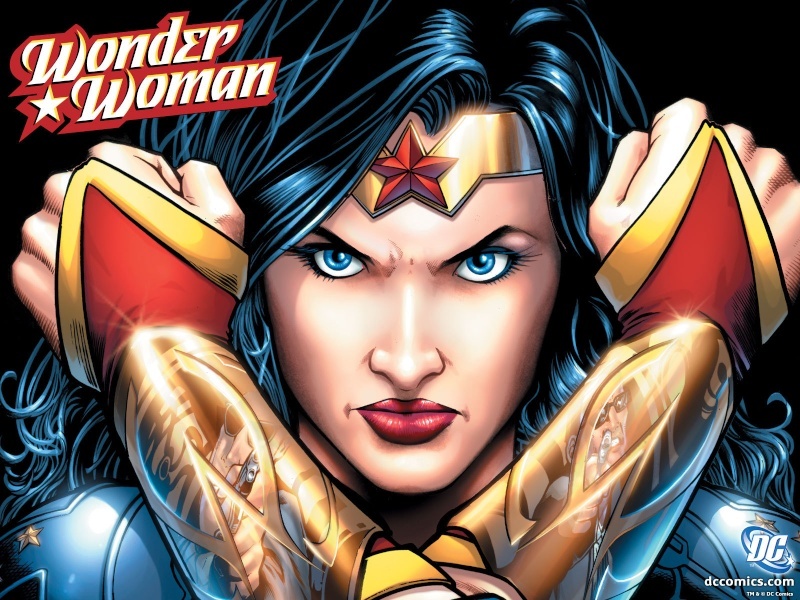 JUSTICE LEAGUE FILM MAY FINALLY SOLVE A 30 YEAR MYSTERY: WHO IS WONDER WOMAN? Not since the 70's has William Moulton Marston's iconic figure graced the screen. Understandably so, Lynda Carter's rendition of Wonder Woman left quite an impression on the viewers of her day. Carter's gorgeous physique, stunning looks, and flawless smile was equalled only by her ability to deliver a convincing portrayal of the super heroine. Carter's characterization of the heroine has been dubbed campy, which was suitable for the times (1970's television). However, today's viewer's paletes crave a more serious depiction much like the recent version of Batman. Which incidentally is the same challenge the caped crusader Superman faces. Indeed, Batman has set a new benchmark. This dilemma doesn't seem to stop fans and hopeful starlets from trying to fill WW's boots, don her bracelets, or wield her lasso. In fact, many websites, forums, and news articles have been dedicated to helping Hollywood solve this conundrum. Hollywood has been so hesitant to name an actress that a much anticipated film was pushed back several times and then panned altogether. There was even an NBC show slated, but that fell short as well. No surprise there, NBC screwed up The Bionic Woman remake royally. So much so, that by the time we see another remake of The Bionic Woman cyborgs will actually roam the Earth. But on that I digress. The topic of Wonder Woman is on the table. I've always thought that Catherine Zeta Jones could have done her justice, but unfortunately I think that ship has sailed . I might even believe Charlize Theron could pull it off. She may be in her thirties, but with the right make-up and lighting she could pass for mid-late twenties. Fans' expectations are high for this film and with the mega-success of the Avengers movie a less than spectacular debut would be equivalent to a flop . It would certainly be a blemish on the DC name. So what challenges do the producers face? Well as mentioned in my earlier post Wonder Woman and a few other heroes have not had their "day" on the big screen. 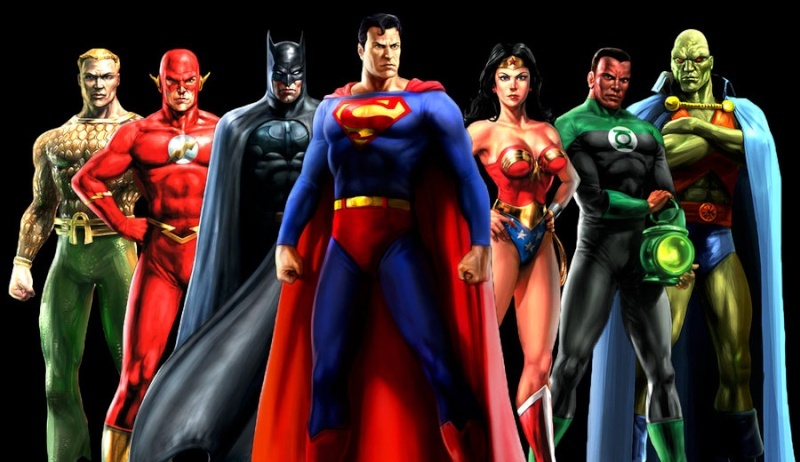 To make a Justice League film before making their "standalone origin movies" would relegate these heroes to the dreadful ensemble cast member category. To date Batman, Superman, and even Green Lantern have had their own movies. Finding a director to helm the project is another dilemma that has producers boggled . Names that have been tossed around in the press over the past few months are Chris Nolan, Ben Affleck, The Wachowski's, Guillermo Del Toro, and Brad Bird. Hey producers here's a novel idea––get an unknown to make their debut. I can think of one that is primed and ready to go, ME! I just checked my schedule and it seems that I have an opening for a blockbuster film debut, but send your query quickly that window may close soon as other engagements develop. Oddly, the lead actors choices to play the iconic Superman and Batman characters are in constant flux. Producers are waiting to see if Henry Cavill's portrayal of Superman goes over well before confirming his reprising the role in Justice League. Christian Bale's return as Batman is uncertain since actor Joseph Gordon-Levitt took over the role in the last film. According to the Screenrant website (article is 6 months old) the Justice League film will feature Superman, Batman, Green Lantern, Flash, and Wonder Woman. Martian Manhunter and Aquaman would probably show up as cameos, but not main characters. Reasons for this decision loom. Among them are that though they are known in the JL franchise they are lessor known characters to casual audiences and that Aquaman in particular will be harder to adapt for the big screen. My guess is that there would not be adequate screen time available to flesh out an Aquaman main character and do the others justice simply because his world is the ocean. However, here's where a stand alone origin film could be helpful. They could establish his role and set up a storyline that would carry over to the JL film. This film faces challenges, but I have no doubt producers will find a way to overcome them. I was a fan of Wonder Woman back in the day and I still am. I would definitely buy her box set and enjoy all her episodes today. Her character alone makes her superior to Charlie's Angels as does her talent. With Hollywood watering down its talent so bad with its newest thespians, I would have to root for a throwback actress and vote for old gal Demi Moore. She has more talent then most and has retained her beauty and brains. Catherine Zeta has been under the knife a slice too many and is sacrificing her natural beauty to dreams of the fountain of youth. Go Demi! Regarding the Justice League, the timing may be too soon. I am still reeling from the Avengers - an AWESOME film - and we have yet to see how the 2013 Superman will do on the big screen. The trailers have left a little to be desired. For the Justice League to be good there would need to be a stand out character like Tony Stark, a crushing star like the Hulk, and a cool azz leader like one-eyed Sammy. It's going to be hard to find someone with a genuine strut like Iron Man that can kick azz too. The only super hero that can compete today is Neo from the Matrix. Yes, i said it. Even Christian Bale as Batman comes up a little short. He was tossed around by Bain a bit too much for my taste. Not a super hero I would wait on. Every so often you find him running through an alleyway seeking shelter and aid. And in the last film he had bad knees. Smh. I think they should wait a bit before they try putting together this team. I'm gonna hold out to see how this "regular joe" superman works out. I still believe Catherine Zeta-Jones back in the day, say, 10-15 years ago would have been a great choice for Wonder Woman. Because, she looks like and has equal presence as Linda Carter who successfully defined the role in a visual medium (on screen). For this reason I think the transition from one actress to another would be smooth enough for the public to handle. Citing NBC's attempt to reintroduce the Bionic Woman a few years ago–audiences that could remember Lindsey Wagner's portrayal weren't willing to accept the actress that reprised the BW character, because she was too different (and the show hardly resembled the original). The new Bionic Woman depended on the original's fan base to carry the ratings while younger audiences (unique viewers) approached it like any other pilot show. In other words, producers must consider their market when reintroducing iconic figures that have been branded by the actors who play them. With regards to Demi Moore, I think that she's a phenomenal and beautiful actress, however she is too old to play Wonder Woman. If WW was written as a character in her forties I would say Demi might work or if they recast her with a new actress after 2-3 films like James Bond. There is no doubt that the "League" movie is coming–and soon . Marvel simply will not sit on it for too much longer. I'm sure they want to capitalize on the fan's current penchant for super hero movies and I also think that ego is a factor. DC and Marvel has had a long standing rivalry in comics, tv, and film. Our caped crusader has taken his fair share of whoop-a$$, but I think that's what added to the last two films' charm. The gritty storytelling and not so superior physical strength allowed audiences to suspend disbelief. It also made it easier to get caught up in rooting for the character––it (the film) played well. I'm reserving judgement on this one. I don't like carbon copies––one Batman is enough. But hey, I wanna see if they can pull it off.